Tangerine (Citrus reticulata Blanco/ C. tangerine) is a diminutive evergreen tree featuring dark green leaves. The tree bears small, fragrant, five-petaled flowers that are creamy white with yellow middles and small fruits resembling oranges. Tangerine essential oil smells like bright, fresh citrus. It is aromatic and reminiscent of oranges. Tangerines, clementines (Citrus clementina), and mandarins (Citrus reticulata / C. nobilis) are often confused with one another or thought to be the same thing. While tangerines are a type of mandarin, not all mandarins are tangerines. Others in this group include Dancy oranges, honey oranges, satsumas, and more. They're all members of the Rutaceae family. One way to tell tangerines apart is that they often have a more reddish hue than their typically orange counterparts. They are not as round as oranges, are easier to peel, and taste sweeter. In some essential oil books, you will find that these fruits are used synonymously. Their volatile oils are both collected through cold expression of the outer peel of their respective fruits. This is done prior to the ripening of the fruits in both cases as well. Mandarin and tangerine oils can be used interchangeably to a large degree. That being said, they each have their own unique qualities that set them apart. That being said, for more general uses, it would be okay to use one in place of the other in recipes. 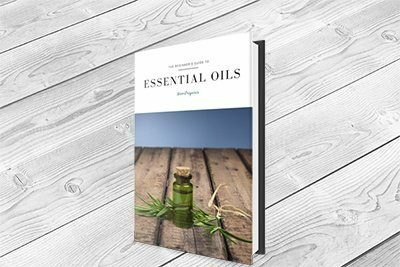 Tangerine essential oil blends well with other citrus oils, chamomiles, clary sage (Salvia sclarea), frankincense (Boswellia carterii), geranium (Pelargonium graveolens), patchouli (Pogostemon cablins), ylang ylang (Cananga odorata), and many more. The citrus oils are all used widely in the food and beverage industry as flavorings. They are also heavily employed in scenting toiletries, bath and beauty products, colognes, and perfumes. There are many ways to use tangerine essential oil at home. There is nothing like springtime. Everything is fresh, clean and new. Essential oils can help you take spring cleaning to a new level, and make your whole home smell like you have brought the outdoors in. Use tangerine oil in your homemade cleaning products for a fresh citrus scent all over. You can add it to your dishwashing soap, floor cleaners, surface cleaners, and air fresheners. For a quick burst of fresh air, add a few drops to some baking soda and sprinkle on your carpets before vacuuming. Some essential oils that are labeled by the Food and Drug Administration (FDA) as being generally recognized as safe, otherwise known as having 'GRAS' status, are used in the food and beverage industry. These oils can be used in your kitchen, but it is vitally important to realize they are employed in a much larger scale commercially. If you want to use them in your own recipes at home, you have to do so in minute amounts. You may not think that one drop is enough, but even that can be too much depending on the recipe. They are highly concentrated, and a little goes a long way. Tangerine peel oil can be used to enhance the scent and flavor of many foods and beverages, such as party punches, puddings, baked goods, and more. For smaller recipes, even dipping the end of a toothpick in the oil then swirling it into the food is all you need. Tangerine essential oil has many benefits besides smelling great and being gentle. Here are a few ways to enjoy these at home. One of the most significant health benefits of the oil of tangerine is that it is detoxifying and fantastic for clearing out the lymphatic system. Its lymphatic detoxifying effects can be extended with the benefit of dry skin brushing. Purchase a natural bristle brush. You will want it soft, so you don't harm your skin. Before you shower, brush in short strokes all over, and always towards your heart. After showering, apply a massage oil made up of a carrier oil and a few drops of essential oil or a blend. Concentrate on the lymph nodes, such as the armpits, behind the knees, and neck. This is also an excellent way to address areas where cellulite is an issue. Who doesn't need better relaxation and sleep these days? Most people automatically think of lavender (Lavandula angustifolia) when they are stressed out and want to get a good night's rest. But many citrus oils can provide this relaxing effect as well. Tangerine is perfect for situations when the strain of daily life has you to the point of exhaustion combined with the inability to sleep. You can add it to massage oil, place a few drops in your bath or shower, or add some to your favorite relaxant aromatherapy diffuser blend. There are many products on the market that promise to be the holy grail of fighting aging and wrinkles. Nature has provided us with many as well, that come with the benefit of not costing hundreds of dollars for a small bottle (in most cases, anyway). Oils that are cytophylactic help with cell turnover and healing. They are excellent choices for your skin care and anti-wrinkle facial blends. There is currently very little research on tangerine essential oil. However, citrus fruits, in general, provide many health benefits to the human body. Citrus fruits have long been recognized as one of the most consumed fruits for both enjoyment as food as well as for their health advantages. These fruits include oranges, lemons, limes, mandarins, and tangerines, among others. They're all high in various constituents that make them anti-cancer, anti-inflammatory, antioxidative, neuroprotective, and beneficial to the cardiovascular system. Expressed citrus oils are phototoxic to varying degrees, although tangerine's bergapten content is so low it is not considered phototoxic itself. This means that it is not likely to cause a reaction. However, it is always wise to not use citrus topically when going out in the sun or tanning unless you can be absolutely sure they are free of bergapten or furanocoumarins. Tangerine essential oil is good for many things, as is its mandarin counterpart. The oil has many skin benefits, is great for the circulatory and lymphatic system, can ease muscle spasms when used in massage oil, and helps alleviate stress and exhaustion after a particularly hectic day. Tangerine is relatively safe when used for aromatherapy and topical uses, and has no known contraindications. Nonetheless, care should be taken not to use the oil if it has oxidized.